The Band Instrument Repair Advisory Committee meets yearly to ensure the BIR program is delivering the best education possible. This group of fifteen professional technicians and manufacturer representatives from across the U.S. reviews the program curriculum, delivery, instructional materials, facilities, and even the work the students are doing to continually improve graduates we provide to repair shops. 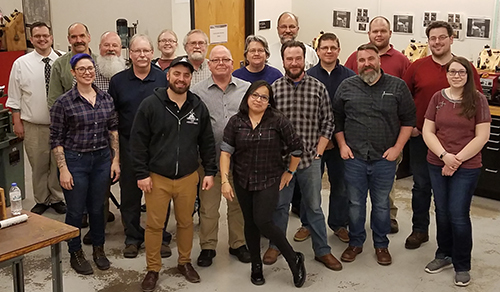 This group is the eyes and ears of the music industry and the repair craft, keeping the Band Instrument Repair program at Red Wing at the top of its game. *Chris Harris, Director of Repair Operations, Marshall Music Co.